Steve Will, chief architect of IBM i, made the "spring" announcement of new Technical Refreshes for 7.3 and 7.2 in his You and i blog earlier today. A new lower end PowerSystems server, S812. AUTHORIZATION_LIST_INFO - Returns a list of all objects secured by an authorization list. AUTHORIZATION_LIST_USER_INFO - Returns list of all authorization lists and their authorities. LICENSE_EXPIRATION_CHECK - Procedure sends a message to QSYSOPR message que for every license that has already expired or is due to expire with the specified number of days. LSTAGG - Aggregates a set of string elements into one string by concatenation. MESSAGE_QUEUE_INFO - Returns one row for each message in a message queue. SET_PASE_SHELL_INFO - Provides ability to set the path to the PASE shell for the specified user. 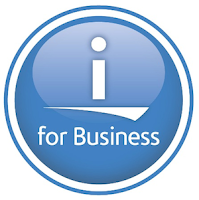 LICENSE_INFO - View contains information about all products and features than contain license information. LTRIM - Function to remove character from the beginning of an expression. RESET_TABLE_INDEX_STATISTICS - Clears the usage statistics for indexed defined over tables. RTRIM - Function to remove character from the end of an expression. USER_INFO - View contains information about user profiles. SQL RPG precompiler will generate free format RPG code. Three part names (system, library, file) in triggers. %MIN and %MAX built in fucntions. ALIGN(*FULL) keyword when using C's regex_t data structure. Steve admits his blog post is just an overview and that more information will be found on the developerWorks website, and in other blog posts IBM-ers will be publishing. As I find them I will add them to the list below. The release date for the new hardware is March 17 2017. The Technical Refreshes will become available on March 17 2017.